Wearing a seatbelt can save your life in the event of an auto accident. Regardless of whether you wear a seatbelt, however, even a minor fender-bender can potentially result in significant injuries, such as broken bones, nerve and tissue damage, muscle strains, skin lacerations, traumatic brain injuries, and spinal cord damage. Moreover, in the case of a whiplash injury, the same seatbelt that saves your life by keeping you inside the vehicle can also do serious damage to your neck and back when you are propelled into your seat. One of the most common accident-related injuries is whiplash, which typically occurs in a rear-end collision. The force of impact in a collision often causes a violent back-and-forth movement as the vehicle passenger is thrown forward before being suddenly jerked backward into their seat. This can strain the vehicle passenger’s neck and back and result in muscle and tendon tears that lead to hospitalization and surgery. Beyond that, a whiplash injury could be particularly painful and require a lengthy period of extremely difficult recovery and rehabilitation. One of the things that makes whiplash injuries so dangerous is that they may not become obvious until several days after the car accident. While you delay vital medical treatment, your whiplash injuries could become worse. 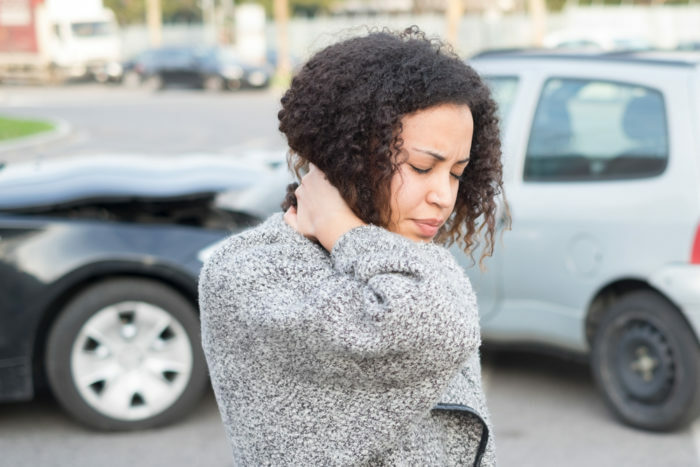 Additionally, since whiplash injuries are also associated with concussions – a violent collision can affect both your neck and your head – it is crucial that you see a doctor as soon as possible after your auto accident. You also need to be able to recognize the signs and symptoms of whiplash. So look for muscle tenderness in your neck or upper back, shoulder pain, a decreased range of motion in your neck, trouble swallowing food and water, and headaches. If you suffered a whiplash injury, or any other type of injury, in an auto accident, you need to talk to a qualified personal injury lawyer. Richard Stoloff is an experienced personal injury and car accident attorney who will help you get the compensation you need, want, and deserve. Contact Mr. Stoloff today to schedule a consultation.